Coffee is a complicated thing, both in terms of the effort of making a cup and how different societies treat coffee as a drink. For example, there’s a sharp dividing line between countries that prefer instant coffee (which are mostly tea-drinking countries) and those that don’t. In the UK and Australia about three quarters of coffee consumed is instant, in the USA it is less than 10% and in Italy just 1%. 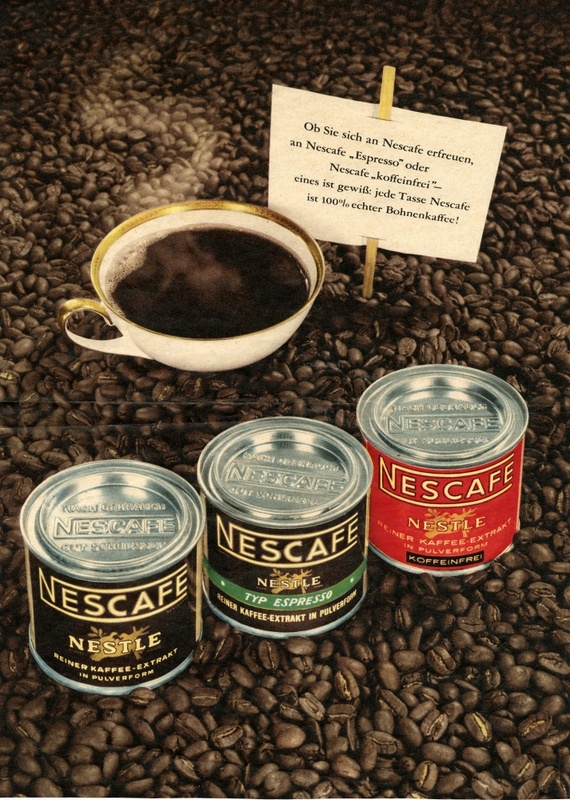 For drinkers of instant coffee, a landmark product was released in April 1938 – Nescafé. Instant coffee had been around for a few decades in various forms, with the most popular being G. Washington’s Instant Coffee, but early instant coffees were not very good. In the 1930s, Brazilian coffee growers were having a hard time finding markets for all the coffee they were growing. They approach Swiss food manufacturers Nestlé who researched the problem over several year, but they weren’t able to create the product they wanted and gave up development in 1935. However, one of their scientists – Max Morgenthaler – continued to research the problem as a side project. In 1936 he cracked the problem, but it took two more years for the product to come to market. 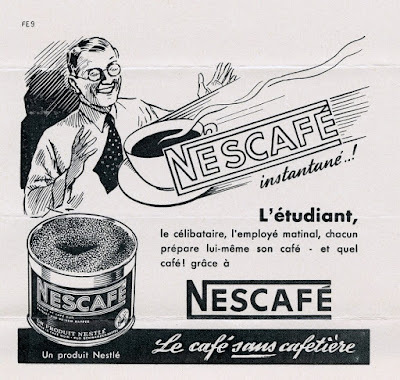 To make Nescafé, Nestlé used a new process which involved drying liquid coffee mixed with soluble carbohydrates to gives a product that made a reasonable cup of coffee when hot water was added. 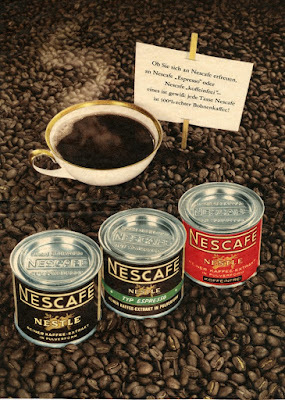 Although it’s not the process that most instant coffees uses today, the original Nescafé was a significant step forward. Success came from a slightly unexpected direction. The US Army had recognised coffee as being important to the troops for years, and this new easy-to-use instant coffee was just the thing they were looking for. Nestlé set up factories in the United States to make the stuff, and it was shipped out to US troops worldwide in huge quantities. Where the British would still stop for a tea break in the middle of battle, the Americans were powered by large quantities of instant coffee. Although it was the American Army who popularised the product, it was the British who took to it at home with them. And then the Australians, New Zealanders, Chinese, Turks and Russians… all countries where tea is popular. 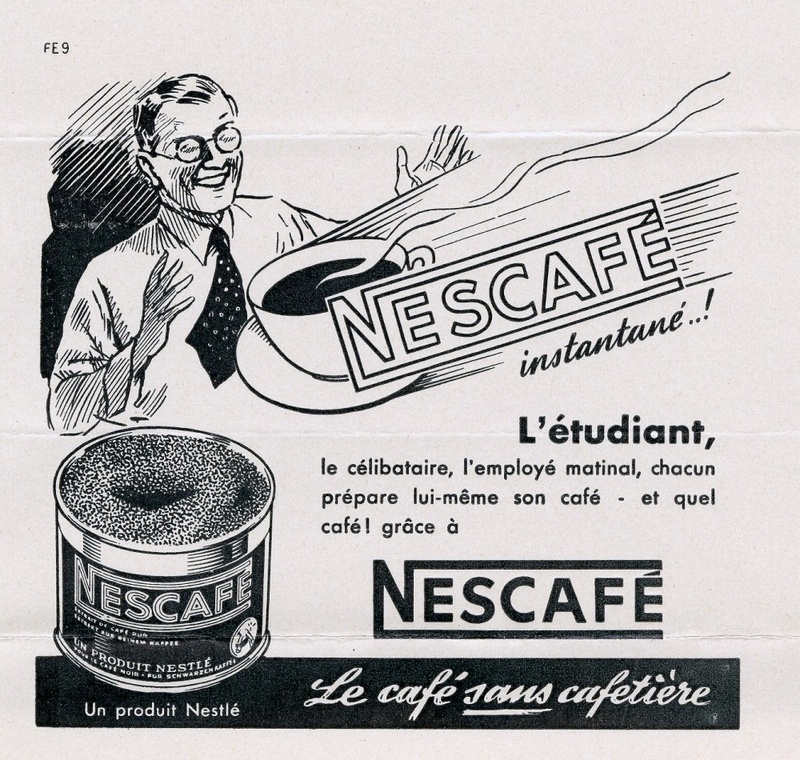 In the 1960s, freeze dried instant coffee was developed which was a much better product, and other advances in quality and formulation followed. Despite the sharp split in popularity between different countries, sales of instant coffee are still growing strongly worldwide. And of course, Nescafé still has a very significant share of the market, which isn’t bad for a project they gave up on.